Lambs–the first sign of Spring! When St. Patrick’s Day is near, you know it’s lambing time! We usually start welcoming the first babies of Spring in mid-March, and soon the pasture at the Settler’s Cabin is filled with bouncing, playing lambs. Our Shetland sheep usually have twins, and they’re wonderful mamas. 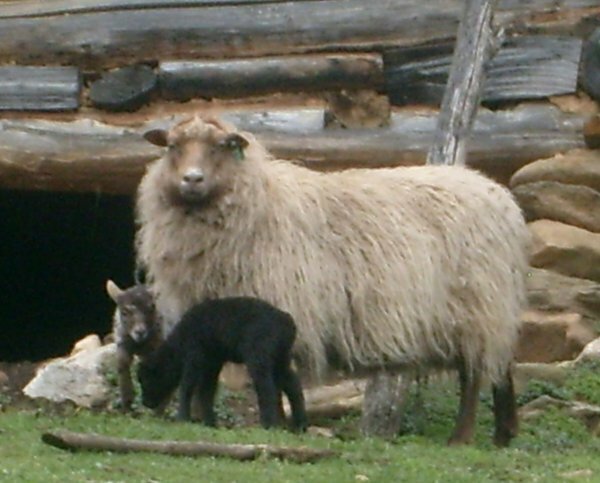 Shetlands are unusual because they come in all different colors, but most of their lambs are born black. After a couple of months they start to change color and may end up cream, red-brown, silver—or even black.